I agree that it is not very nice to be singled out by the use of a label, particularly one as horrible as 'ugly'. 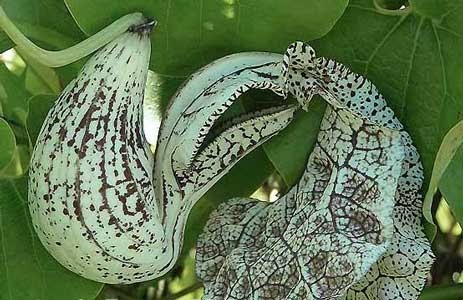 However whichever way you want to look at it, the term 'ugly' is an apt description of the Domingos Martins cultivar of Aristolochia cymbifera. 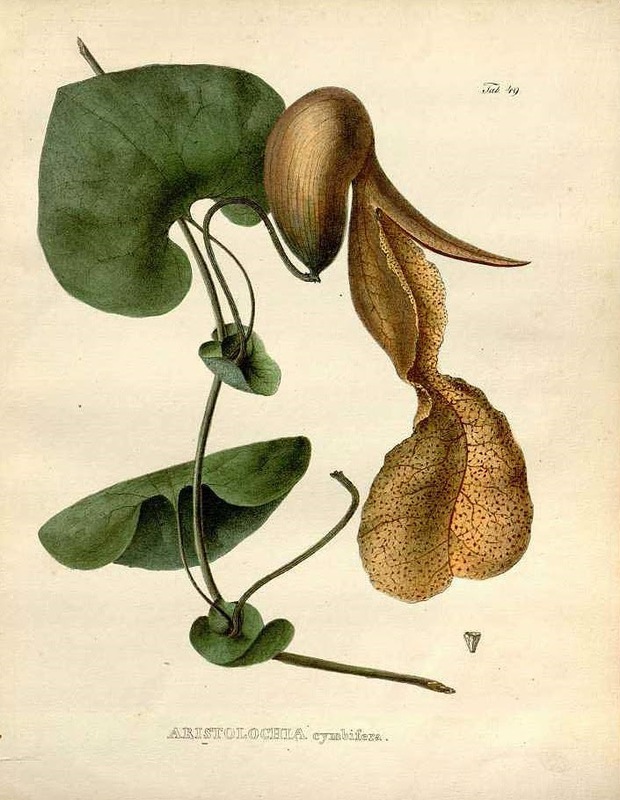 Native to Brazil, Aristolochia cymbifera 'Domingos Martins' is a vine from a large plant genus containing over 500 species which is better known as the 'Dutchman's pipes'. The cultivar 'Domingos Martins' is named after a municipality and its capital in the Brazilian state of Espírito Santo. Domingos José Martins fought in the Pernambuco Revolution in 1817, when the region sought independence from Brazil. He was accused of treason and executed in Salvador on 12 June 1817. Aristolochia cymbifera 'Domingos Martins' most outstanding feature are its huge 6-8 inch contorted flowers which are coloured with purple specks on a white background. The design of the flower evolved into this extraordinary shape as it is pollinated by flies. In effect, the whole flower is an elaborate fly trap! The flower emits a rather foul odour which attracts the flies to the bulb at the base of the flower. The inner part of the entrance tube is covered with downward-facing hair and after the fly has entered prevents their escape. Once the flower is pollinated the downward facing hairs wither, allowing the flies to leave and pollinate another flower - should they so wish! If you would like to grow this fascinating, exotic vine, Aristolochia cymbifera 'Domingos Martins' will do best in light shade and will stay evergreen all year round in subtropical climates. The blooms form along the stem once it grows beyond 6 feet in height and can reach an overall height of up to 20 feet given an appropriate structure.